ANN ARBOR — The Michigan Growth Capital Symposium Thursday announced the 32 companies that will be presenting at the venture capital fest. The event’s medical device, life sciences, healthcare, technology and clean tech tracks will showcase the Midwest’s best early stage and growth companies seeking funding. Also, a new university research pitch track will feature four universities that will present on the startup landscape and profile emerging companies coming out of their programs. Organizers also announced that Ed Torres, a seasoned pharmaceutical executive, accomplished venture capitalist and current managing director of Lilly Ventures, will open MGCS with a keynote address. 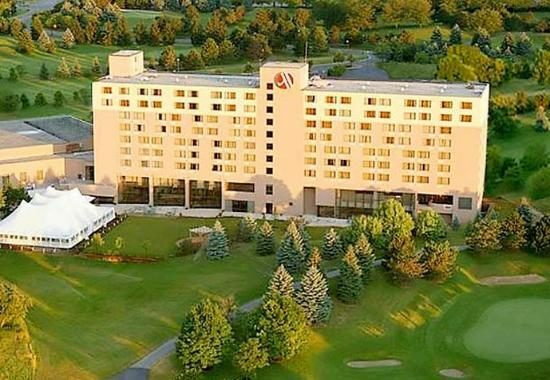 Hosted by the Zell Lurie Institute for Entrepreneurial Studies at the University of Michigan’s Ross School of Business, the event will be held June 17 and 18 at the Marriott hotel in Ypsilanti. The event is also supported by the Michigan Venture Capital Association. More than 400 entrepreneurs, researchers, investment professionals and business executives are expected to attend, and nearly 100 regional and top national venture capital firms will be represented. Since the symposium’s inception in 1979, it has helped more than 800 companies raise funding. * Advanced Battery Concepts, a Clare-based developer of improved battery electrodes. * Alert Watch, an Ann Arbor developer of novel patient monitoring technology for hospitals. * Delphinus Medical Technologies Inc., a Plymouth-based developer of a new ultrasound-based breast examination procedure intended to replace mammograms. * ExoDynamics LLC, an Ann Arbor developer of an improved back brace. * Grand River Aseptic Manfuacturing, an Ann Arbor sterile products developer and manufacturer. * Heatspring, an Ann Arbor reseller of online courses taught by industry experts. * HistoSonics Inc., an Ann Arbor developer of an ultrasound method of traeting prostate conditions. * Integrated Sensing Systems, an Ypsilanti micro-electro-mechanical systems manufacturer. * Inventev, a Detroit developer of plug-in hybrid electric vehicle technology for commercial fleet trucks. * MitoStem, a Detroit stem cell developer. * ONL Therapeutics, an Ann Arbor developer of new drugs to prevent blindness caused by retinal detachment. * Ornicept, an Ann Arbor developer of fieldwork management software for researchers, environmental consultants and utilities. * RetroSense Therapeutics, an Ann Arbor developer of new drugs to restore sight to patients blinded by retinitis pigmentosa and dry age-related macular degeneration. * REL Inc., a Calumet-based developer of advanced composites for applications ranging from armor to insulation to compressed natural gas tank. * SciTech Development LLC of Grosse Pointe Farms, developers of new cancer drugs. * SimuQuest, an Ann Arbor provider of design, testing and software development. * SkySpecs LLC, an Ann Arbor developer of unmanned aerial vehicle technologies. * UpTo, a Detroit developer of a novel calendar app. More at www.michigangcs.com or by tracking #MGCS on Twitter.